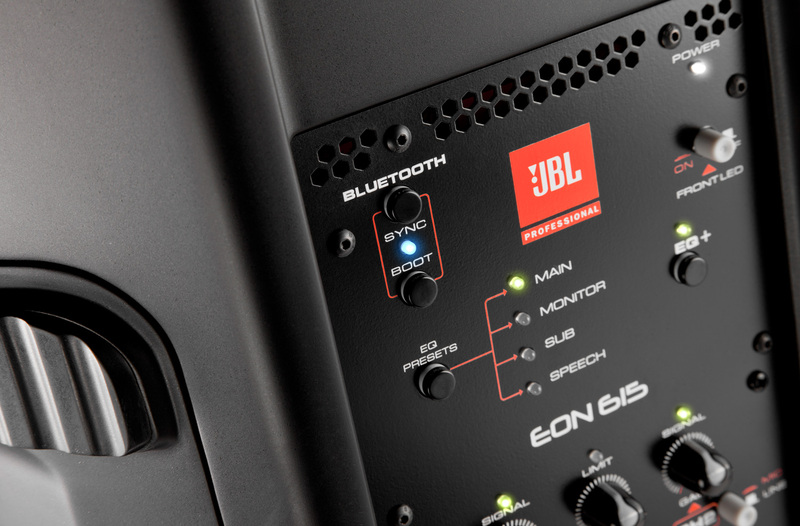 The EON615 enclosure is equipped with two JBL-designed speakers—a 15" driver and a horn—for full-range music and speech reproduction. 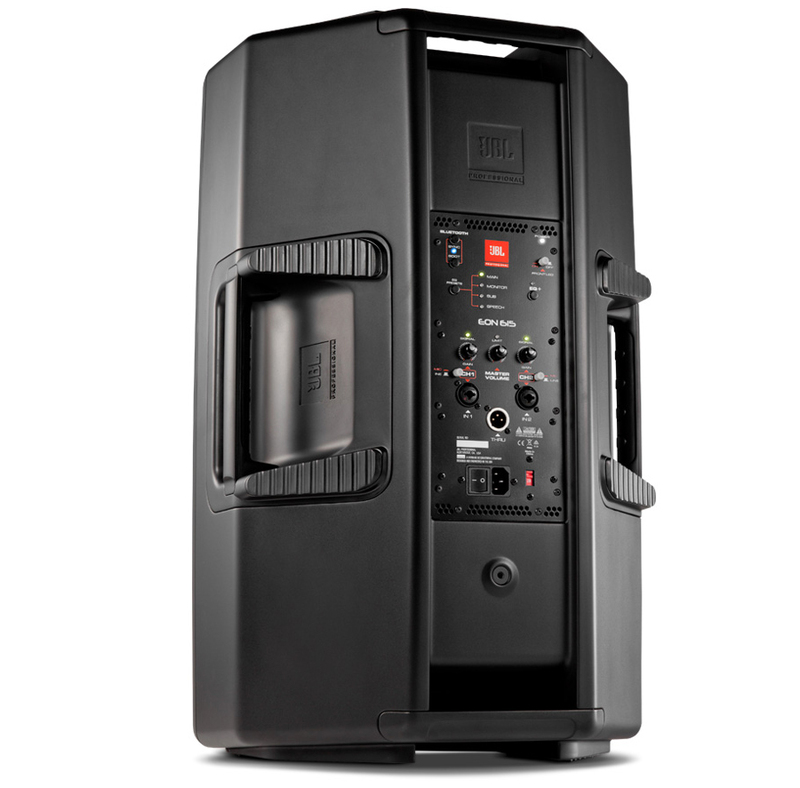 These are powered by two (2) 500W power amplifiers (1,000W total) with a programmable limiter to keep that slap bassist or enthusiastic speaker from overloading your speakers, or to keep performances and public address under a certain dB level. 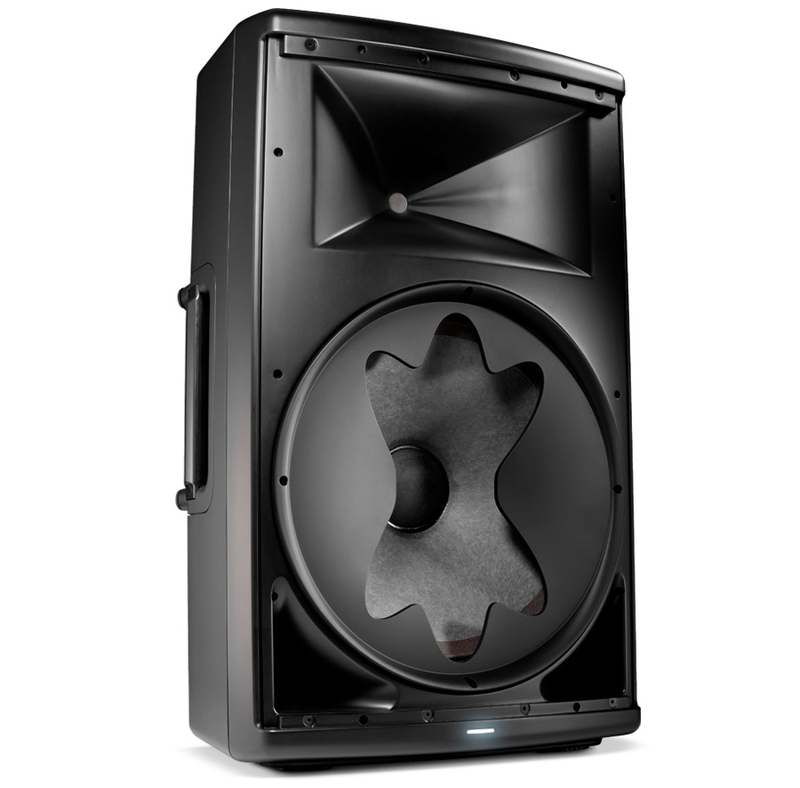 JBL's Waveform technology and injection-molded cabinets help to disperse sound in a 90° arc. Four convenient handles provide a sure grip for setting up and tearing down no matter what the configuration. 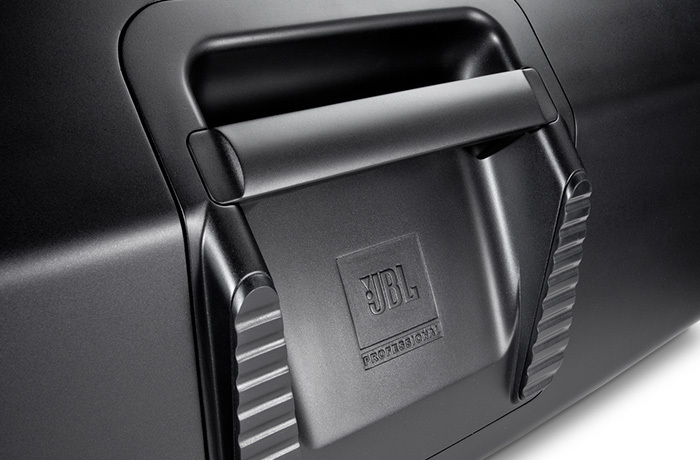 Backed by a 2-year warranty through JBL Professional. Now it's easier than ever to control your PA system. With the JBL EON615's built-in bluetooth connectivity, you can connect your phone or tablet wirelessly with just a couple of simple steps. Now you can you control the DSP within the speaker wirelessly to get the sound you want remotely. JBL's EON600 Bluetooth App will be available November 1st, 2014 for both iOS and Android devices. Note* Bluetooth connectivity is for wireless control only, music streaming not available at this time. Dimensions (H x W x D) 27.875" x 16.875" x 14.5"